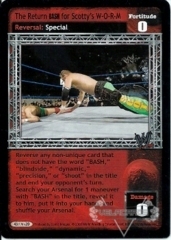 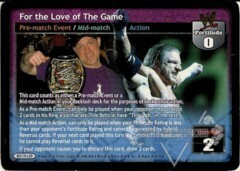 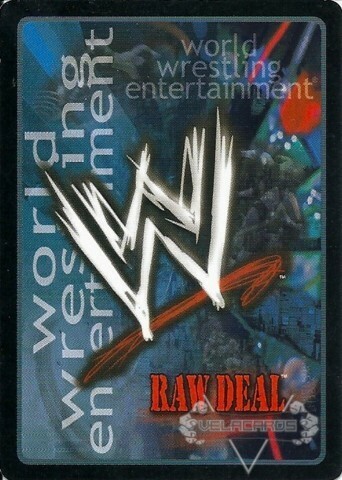 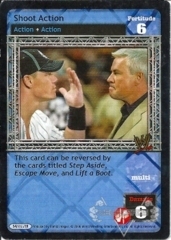 This card counts as either a Pre-match Event or a Mid-match Action in your Backlash deck for the purposes of deck construction. 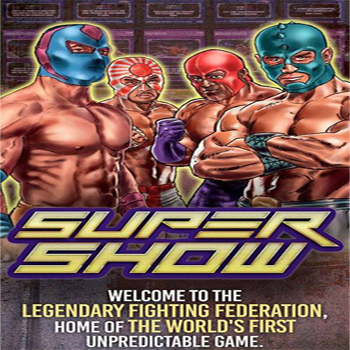 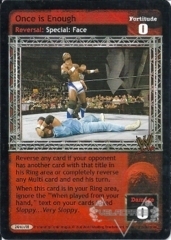 As a Pre-match Event, can only be played when your opponent has at least 2 cards in his Ring area that are Title Belts or have “Title Belt” in the text. As a Mid-match Action, can only be played when your Fortitude Rating is less than your opponent’s Fortitude Rating and cannot be reversed by hybrid Reversal cards. 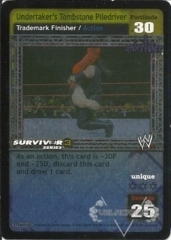 If your next card played this turn is a printed F: 0 maneuver, he cannot play Reversal cards to it. 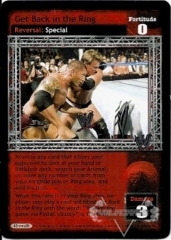 If your opponent causes you to discard this card, draw 2 cards.